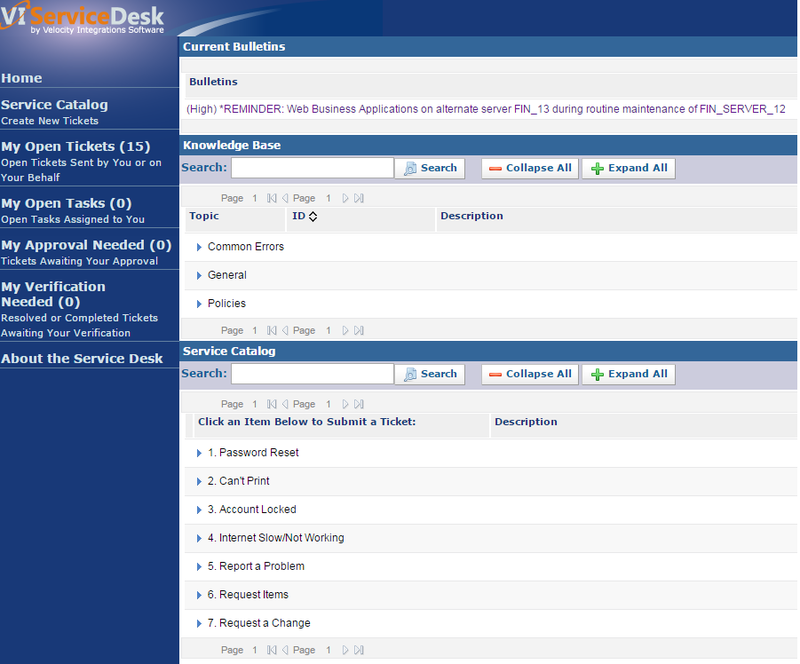 Self Service Portal in the VI Service Desk - VIS, Inc.
End users can view current bulletins and search the knowledge base for a solution or answer to their question before submitting a ticket. 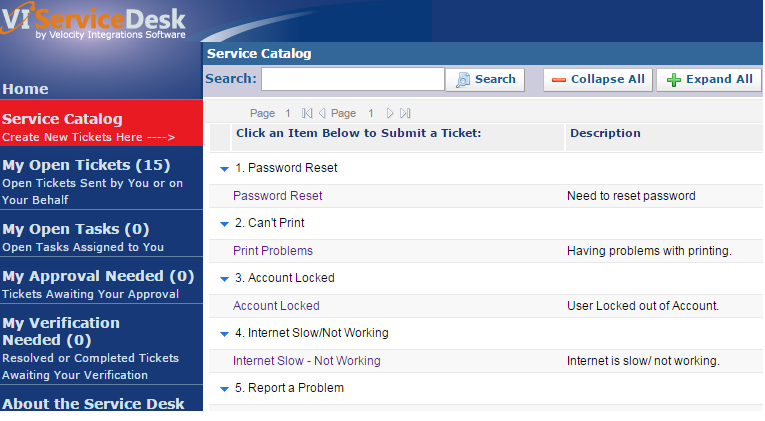 Users can easily view any of their tickets or tasks that are still open. Users can quickly create tickets using the Service Catalog to ensure consistent and accurately categorized tickets are sent to your Service Desk.